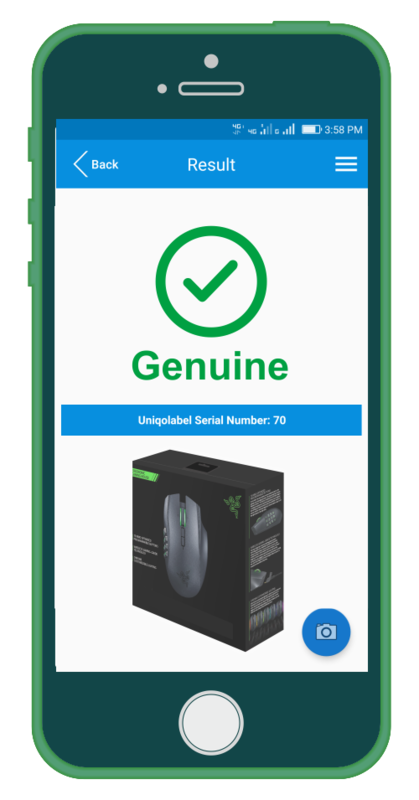 Uniqolabel Secure Is a Multi Layered Pateneted Technology Which Provides True Protection Against Counterfeiting. 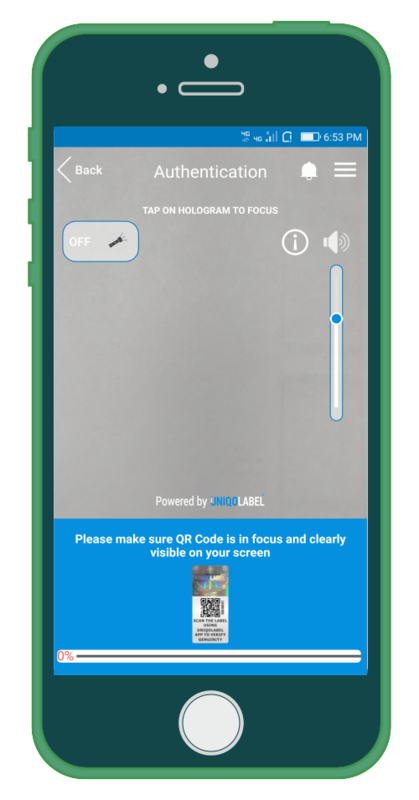 It Is a Combination Of Highly Secure Tamper Evident 3d Imagery , Verifiable In-app Using Proprietary Technology , A Randomnly Generated Always Unique Fingerprint Printed As a 2d Code. 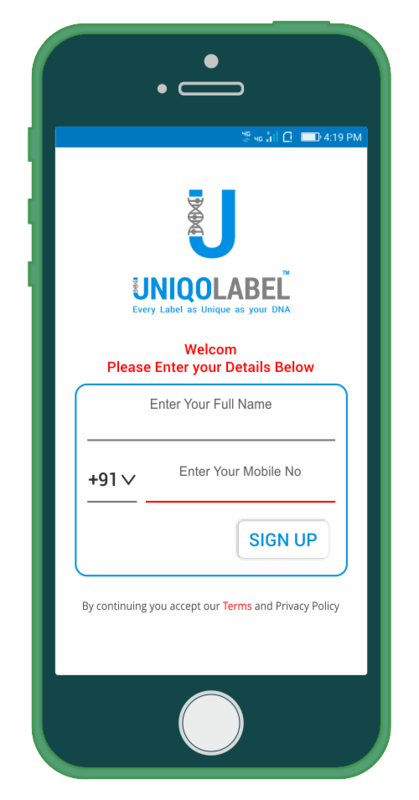 Uniqolabel Can Be Integrated On a Product Or Into Packaging, Once Applied All Features Of Uniqolabel Are Completely Verifiable Using Cutting Edge Technology Included In The Uniqolabel Application Via a Smart Phone Or a Similart Device. Only On Verification of All Elements The Label Is Classified As a Genuine Making It Completely Impractical For Coiunterfeiters To Copy. 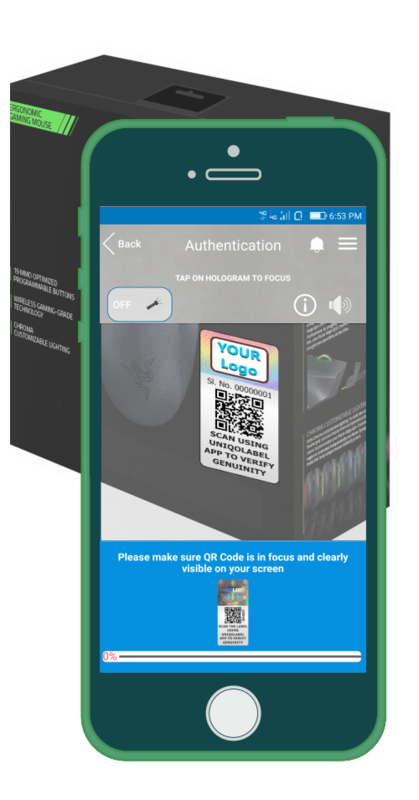 Uniqolabel Secure Verification Is Available Via Uniqolabel App, Uniqolabel Powered White Labeled App, Uniqolabel Sdk. 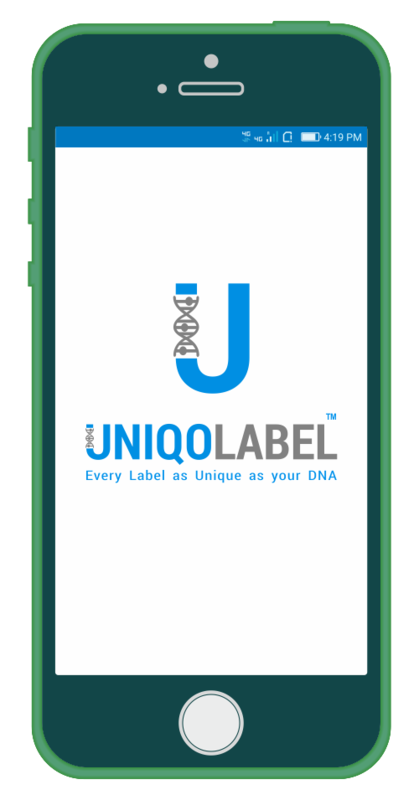 Go to the Play Store or App Store and Search Uniqolabel, Download the Uniqolabel App, It's a Free App. 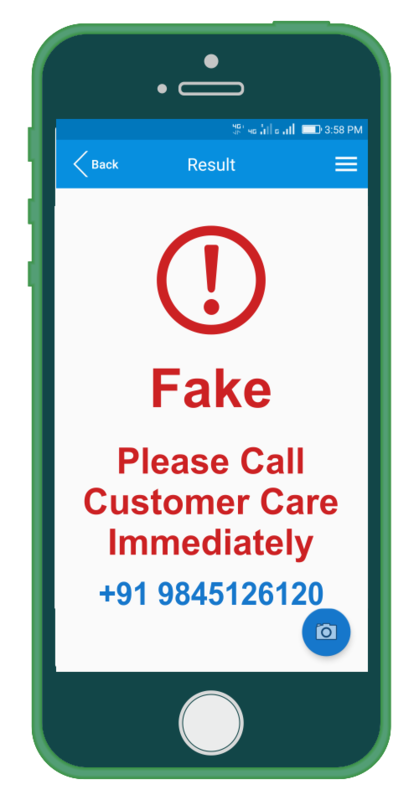 Open the App and Register User by giving Name and Mobile Number, Once Mobile Number Verified Through OTP App is Ready for Scan the label. 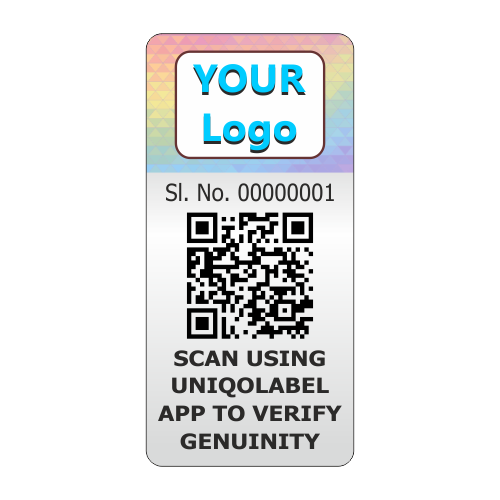 Uniqolabel can be used on all consumer products facing counterfeiting and also on University, Government Certificates. Application is for All Products & Documentations that need complete security & can be Authenticate Originals. Uniqolabel is Based on Holographic Etching Label, It is Combination of a Highly Secure Verifiable 3D Imagery, Randomly Generated Always Unique 2D QR Code, Data Matrix Code, Label Serial Number, and Scan Instruction, It is Availabel on Both Holographic Etching Label Which Can Use for Tamper and Non Tamer, and Normal Paper Adhesive Stickers & Labels. Label Size is Start From 15mmx25mm To 150mmx350mm In Between Any Size You Can Take. Uniqolabel Cost & Price is Depand on Label Size, and Quantity You Are Purchasing and Base Material and Surface you are Putting the Label, Please Call Our Executive Now and Eliminate Fake Product From Market, Gain Your Revenues, and Brand Promotion.